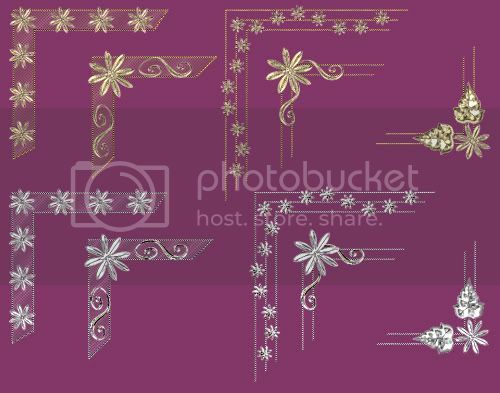 Five styles of gold and silver decorative corners. Preview at 50%. Thank you! Your blog post will be advertised on the DigiFree Digital Scrapbooking Freebie search engine today (look for timestamp: 07 Jul [LA 02:18am, NY 04:18am, UK 09:18am, OZ 07:18pm]).